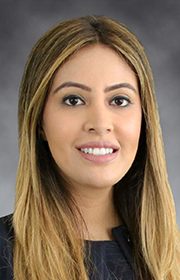 Bisma Ahmed – Tudor, Pickering, Holt & Co.
Bisma Ahmed serves as an Associate in the Investment Banking division. Prior to joining TPH & Co., Ahmed was a petroleum engineer with Shell Oil. Before that, Ahmed served as a field engineer at Schlumberger and then as an analyst at Caddo Minerals. She holds a BS in Petroleum Engineering from The University of Texas and an MBA from the University of Chicago Booth School of Business.